While many people will ask us this question, the answer isn’t simple. But that’s actually a good thing: because our wardrobes are custom built to suit your space, requirements and budget, you never pay a cent more than you need to. The Oz Wardrobes professionals are always happy to provide a free measure and quote, so you know exactly how much your dream wardrobe will cost before they start work building it. There are a few factors that affect the price of your new wardrobe, and your Oz Wardrobes specialist will systematically assess them in order to determine the most competitive price for your job—but you can be assured that with our high-quality products and technical expertise, you’re getting the best product for your dollar. Oz Wardrobes professionals measure thoroughly and accurately to ensure that each component is manufactured and installed to perfectly fit the specific space it’s intended for. There isn’t one standard size of wardrobe, and every single wardrobe in a single design will end up being a slightly different size. It might come as a surprise, but this is because it’s the nature of construction that—due to human error and imperfect materials—no wall in a home is perfectly square or true. And even if they were, there’s no textbook size for a wardrobe opening: every home is built with different features, that are the result of both the decade it was constructed, and who designed it. That’s why the Oz Wardrobes professionals measure thoroughly and accurately to ensure that each component is manufactured and installed to perfectly fit the specific space it’s intended for. We can accommodate virtually any sized space, using our technical expertise to negotiate obstacles and fit our custom-designed components for a flawless result. 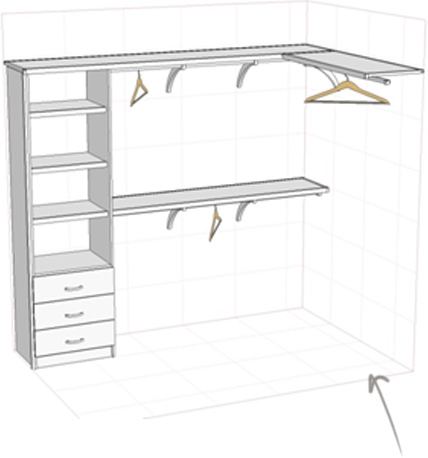 Walk-in wardrobe (L shape as per drawing) to fit a space 2400L x 1600w = approx. $950 including installation and GST. Talk to us about a custom made wardrobe today! Some people will prefer a no-nonsense approach to their wardrobe, and will find the standard features in the basic Oz Wardrobes models more than appropriate for what they need. But because every home and every person is different, Oz Wardrobes offers 3 different shelving systems in our product range, each with its own unique features and benefits to suit your budget and taste. There’s no need to compromise on your personal preferences: from the attractive brace-supported rod and durable aluminium front edge of the Rapi-Mount, to the adjustable ventilated shelving of the Dura-Mount, Oz Wardrobes can incorporate any of our options into a completely customised wardrobe solution that’s perfect for your lifestyle. At Oz Wardrobes, we only deliver the highest quality products and solutions for your wardrobe needs. That’s why we offer comprehensive onsite consultations, so we can ensure that we’ve got exactly the right dimensions and structure of your space and we can custom-build the perfect wardrobe to fit in it. There’s nothing like a trained eye to assess the space for potential opportunities and setbacks to help you get the best result from your project: these consultations are also a great opportunity for our experienced sales team to offer informed advice on the designs and colours that will best fit your room and lifestyle, offering a professional opinion and options you might not consider otherwise. It’s also a good way for us to make sure that your quote is calculated accurately so you have a clear idea of the cost before we begin work. Complete new built in robe into a corner with vinyl doors (as per drawing above) up to 2400h x 2400w = approx. $1850 including installation and GST. 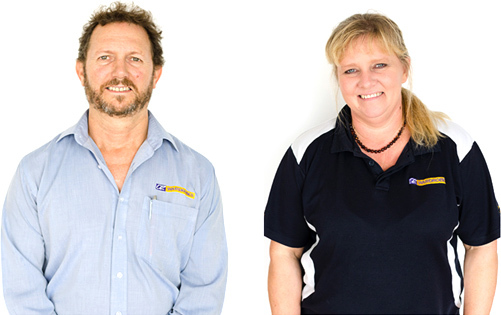 At Oz Wardrobes, we’re able to deliver the highest quality products because we do things the right way. 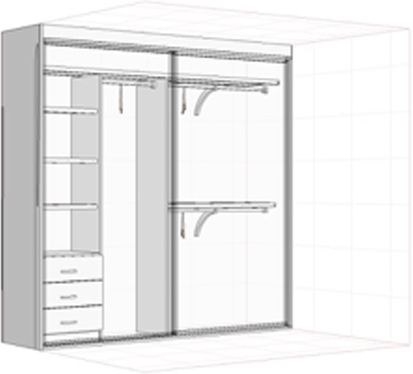 Our professionals use sophisticated computer drawing software to plan your custom-built wardrobe, providing you with professional, three-dimensional and elevation drawings to help you envision your wardrobe before work even begins. This allows us to calculate accurately what your wardrobe will cost when we’re drawing up your quote, so there’s no chance of you getting a nasty surprise at the end of the job. It also gives you the chance to make alterations before you’ve committed to the project, and ensure that everything you’re dreaming about for your new wardrobe is incorporated into the design. At Oz Wardrobes, we understand that everyone has a different budget and a different idea of what they want to achieve when they’re installing a new wardrobe. For those customers who want to save money on installation costs, or just achieve the satisfaction of building something themselves, we can supply any of our Oz products as a DIY kit complete with online videos and instruction manuals. Our friendly team are always available to answer questions if you run into trouble, or to take over your project if you end up needing professional intervention. We can set you up for success in achieving a beautifully finished product at a fraction of the price, and you can see first hand why we’re so proud of the high quality of our installations. There are many factors that can affect the cost of your wardrobe. But at Oz Wardrobes, we do get some frequent enquiries on basic components, and we can offer some ballpark figures to give you an idea of the prices we can do. 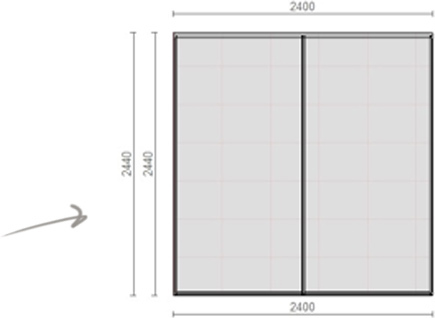 1 set of 2 x mirror sliding doors up to 2400h x 2400w = approx. $650 including installation and GST. There’s one thing that we can’t put a price on, but you can safely put your money on: the high quality of our service. At Oz Wardrobes, it’s always our goal to deliver our customers a pleasant, informed service experience throughout the whole process of getting their new wardrobe. We do this from the first concepts through to the finished product, working to achieve your goals at each stage of making your dream wardrobe space a reality. We’re great at what we do, and we’re so confident in our products and our staff that we can guarantee our products for 10 years*. At Oz Wardrobes, we’ll be there to support you throughout the life of your product, giving you peace of mind that your wardrobe will last as long as the rest of your home. *10 year guarantee is subject to installations done by a qualified Oz wardrobes installer and that the product is being used in accordance with the purpose for which it was built. All claims will be assessed by a qualified Oz wardrobes staff member and documented before any rectification work is carried out. ** Approximate prices shown are based on the Rapi-Mount white melamine shelving or Dura-Mount shelving systems.